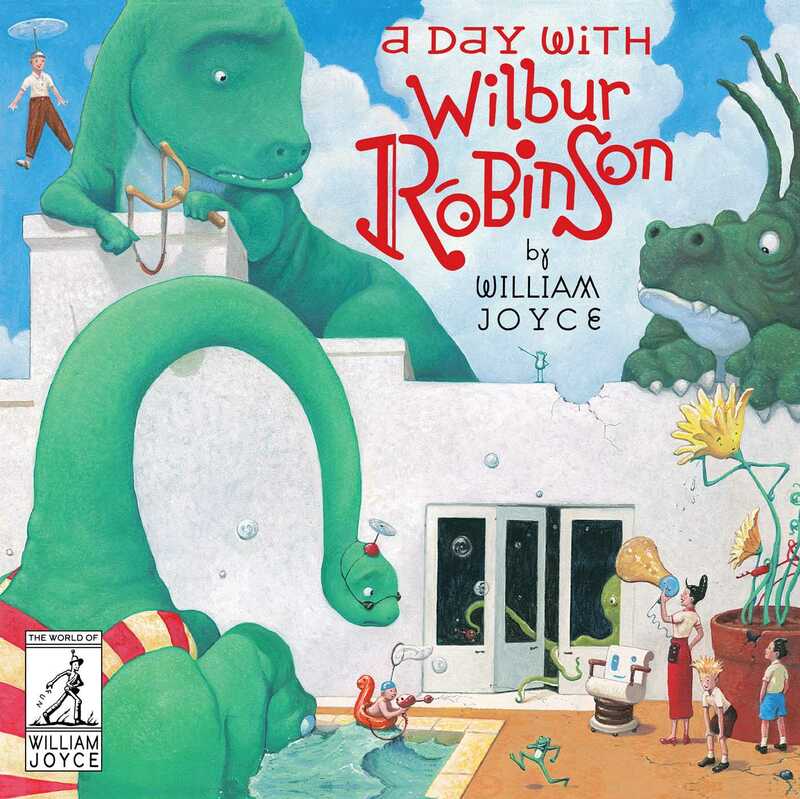 While spending the day in the Robinson household, Wilbur’s best friend Lewis helps search for Grandfather Robinson’s missing false teeth in this classic picture book from William Joyce that inspired the Disney animated sci-fi comedy, Meet the Robinsons! No need to knock, just step right in. You’re just in time to two-step with Grandfather Robinson and his dancing frog band. Cousin Laszlo is demonstrating his new antigravity device. And Uncle Art’s flying saucer is parked out back. It seems like all the Robinson relatives are here, so be prepared. And keep your head down…Uncle Gaston is testing out the family cannon. Oh, and watch where you sit, Grandpa’s lost his teeth again. Welcome to the Robinson’s.